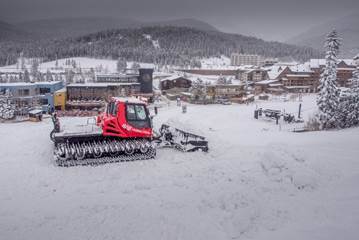 WINTER PARK, Colo. – Winter Park Resort will open for its 75th season tomorrow, Nov. 15 with first chair at 8:30 a.m., kicking off a diamond anniversary season for Colorado’s longest continually-operated ski resort. Operating lifts on Saturday will include Arrow, Endeavor, Gemini, Comet, Meteor, and Spirit, which will service Village Way, Parkway, Porcupine, and Sorensen. There will also be a terrain park with over 10 features and a dedicated platter lift set up in Sorensen Park. All the new snow also means it’s only a matter of time before Mary Jane Territory opens with its new Lunch Rock Restaurant, Winter Park’s multi-million dollar on-mountain lodge featuring Colorado themes and spectacular views. For additional details on all of Winter Park Resort’s Opening Day activities, visit http://www.winterparkresort.com. Tags: 75th Anniversary Season, Opening Day, Winter Park, Winter Park Resort. Bookmark the permalink.